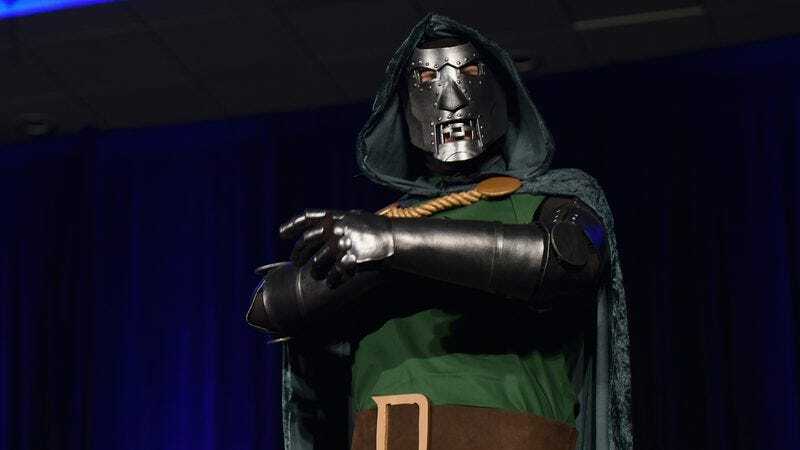 So, unless Hawley is playing a really bizarre prank—“Doom Doctor, in theaters, 2019!”—it certainly sounds like Fox is attempting to revive its Fantastic Four film property yet again, this time in the form of a standalone film based on A-list Marvel villain Doctor Doom. The ruler of Latveria has not been well-served by Fox’s movies in the past, whether as a metal monster in the 2005 Fantastic Four, or as a generic ranting supervillain in Josh Trank’s disastrous reboot a decade later. Given the comfort he’s shown with massively powerful megalomaniacs in the first season of Legion, though, Hawley might be just the person to finally give Doom his proper treatment (even if it does dash our hopes that the bad Doctor might someday pop up to menace the MCU, where his pursuit of omnipotence could face some real, meaty opposition from the Avengers and the like).